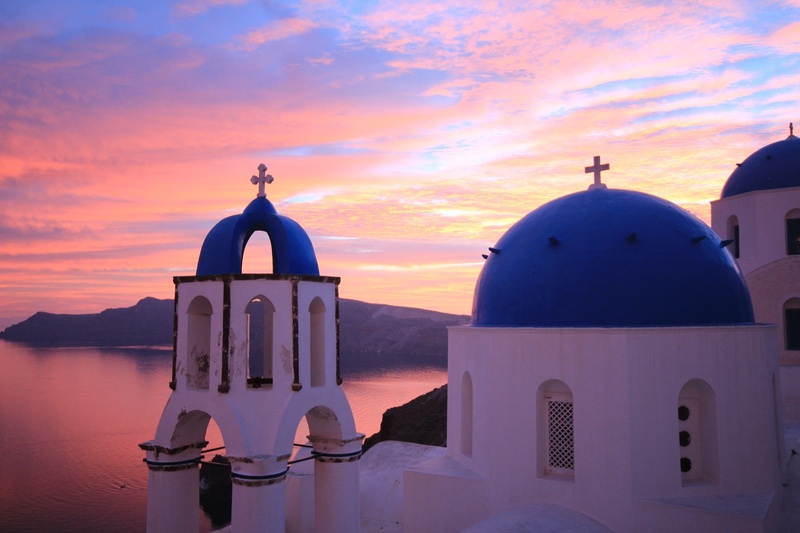 Nowhere else has a destination been so sought after than the waters of the island of Santorini. Surround yourself with miles of white and black sand beaches, turquoise waters, breathtaking Caldera sunset views and island hospitality. Known for its beauty and historic and geological significance, the lovely Cucladic Island off Greece’s southeastern shores is among the most stunning in the Mediterranean. It offers every pleasure from beautiful beaches and lively tavernas to snug harbors and intriguing archaeological sites, the best of any Santorini sailing vacation. 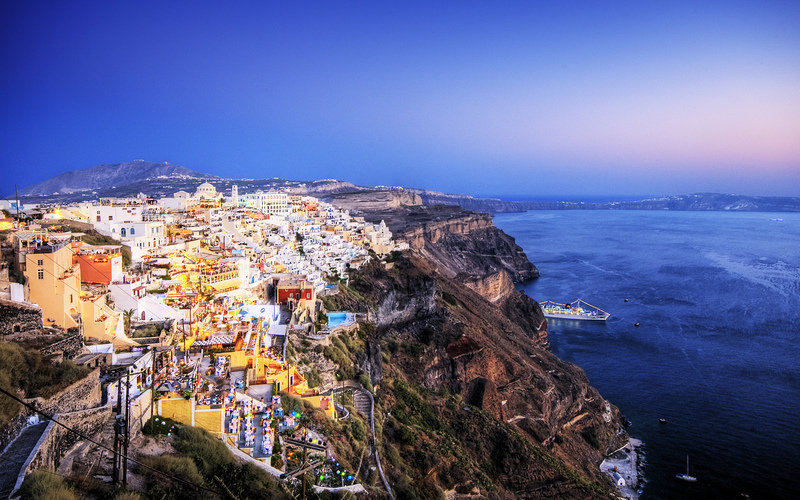 Let the sun fill each day and let the warm breeze carry you away while cruising the waters off Santorini’s coast. Take advantage of our base in Fira where the picturesque alleys are filled with boutiques, local restaurants and waterfront views. This town is the ideal place to reach nearby waters that feel worlds away with their secluded beaches, azure waters, and Caldera sunsets. Whether you are in search of a quiet beach or an island town to explore, Santorini provides a sea of vacation possibilities for every taste. The sweeping arc of islands has become a refuge for travelers in need of tranquility amidst a beautiful setting. Laid-back and friendly people, excellent restaurants, and intriguing towns are among the delights.